Affordable SEO Packages in Malaysia. Highly cost-effective SEO plans to optimise your website to get to the top of Google's organic search results. SEO is the largest form of traffic on the web, which makes SEO one of the most important strategies you can invest in. With millions of other sites trying to catch in users, modern SEO is about standing out from your competitors and making sure your site has an online presence that’s hard as nails to ignore. Bulletproof your website against the ticking time bomb of relentless Google updates. We don’t rely on any one particular tactic to rank your website at the top of Google (like most SEO Agencies). Instead, our strategy is to employ a wide variety of tactics that ensure a defensible stronghold on your rankings and results. Why I need SEO ? For example, if you have a restaurant in Bangi and you want more customers to visit your restaurant, we can help. The local restaurant can benefit with greater visibility for keyword searches like "best restaurant in Bangi" or "kedai makan Bangi". These searches may help drive new visitor to your restaurant. Our SEO experts can help by implementing the latest strategies & in generating more profit. SEO is an acronym that stands for search engine optimization, which is the process of optimizing your website to get organic, or un-paid, traffic from the search engine results page. 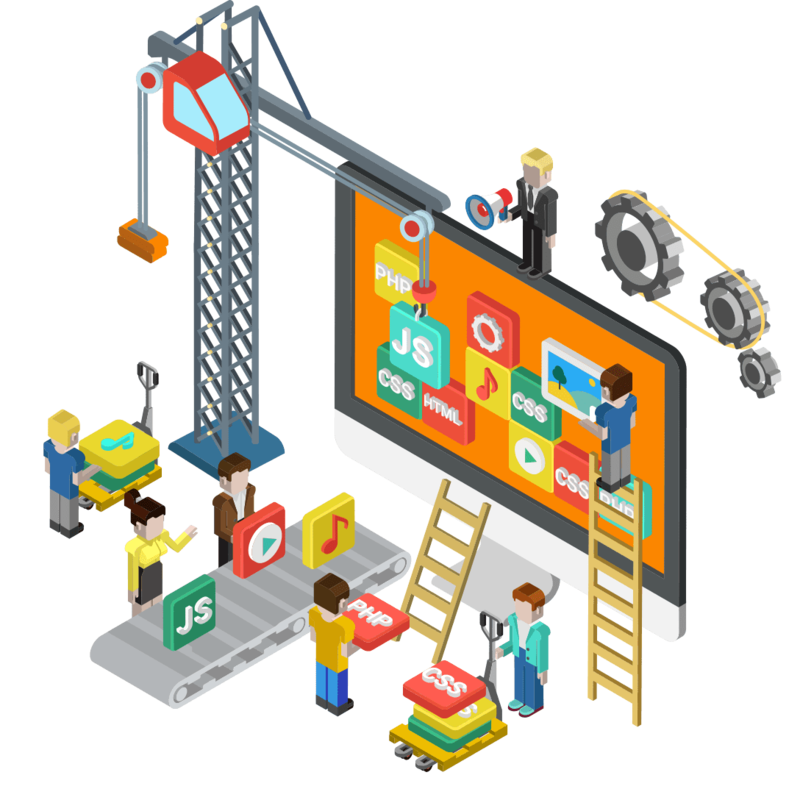 Onsite SEO involves making certain changes to your website design and content that make your site more attractive to a search engine. We do this to make sure that the search engine will display your website as a top result on the search engine results page. First we research and learn what people are searching for online as it relates to your business. Understanding the terms people are using to search online in your industry is a critical first step. We optimise your website and map the researched keywords to the pages of your website. If your existing website does not adequately address the search terms in your industry, we can add new pages and content to your site. 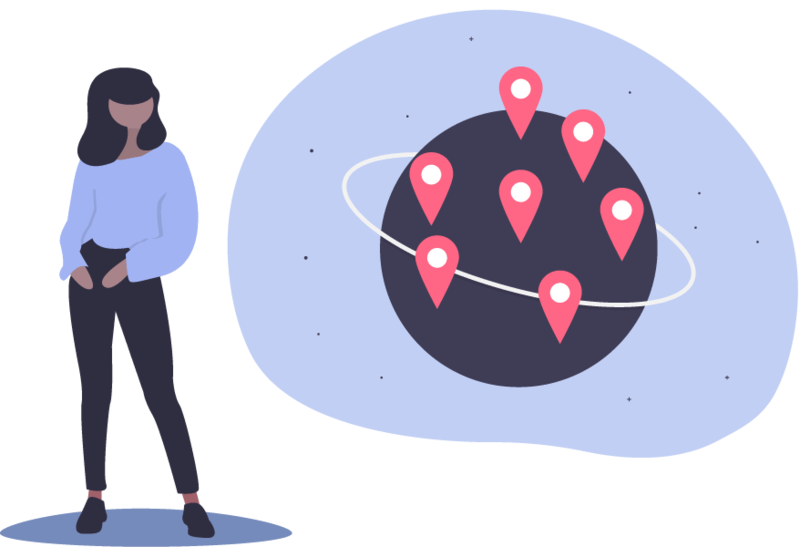 With a website that is mapped to the appropriate search terms, we can then look to build links from other relevant websites to your website pages. This includes property links such as your Google Business Listing. Backlinks tell search engines that your website is important and should be considered in the search results. We constantly measure results and report on progress made each month. This includes improvements in your website position in the search results, increased traffic to your website and the number of website goals achieved. We bring opportunities for our clients that can buy them more sales, more success and more satisfaction through our SEO services. We can bring you big results and highest possible ROI in a small budget whether it’s a small business, medium-sized or enterprise level. 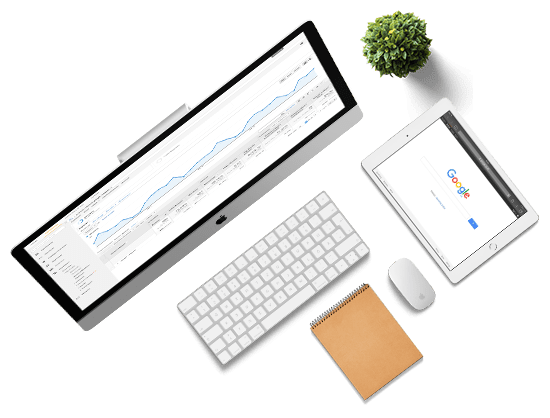 Our SEO experts consistently test and research new methods, use up to date online marketing tools to increase our client’s sales and leads by ranking their website on Page 1 of Search Engines. Our SEO agency has helped many Malaysian local businesses to increase the visibility and get them potential customers over the web. With our expertise in SEO and PPC we have multiplied our clients business leads, sales and revenue by 10 times. SEO stands for Search Engine Optimization. It’s a way to increase the number of visitors to your website by ensuring that it ranks well in the search engine results pages (SERPs) for specific keywords. For example, if your company is selling blue jeans online, you’d want your website to appear on the first page of the search results when people search for “blue jeans” or “buy blue jeans.” There are several ways to ensure that your site ranks highly in the SERPs. One of the best ways is to put links to your site on other websites. That’s called building a backlink profile. Another great way to ensure that your site ranks well is to start a blog and post quality, shareable content on a regular basis. That’s called content marketing. It’s also important to ensure that your site is properly optimized for the various search engines. That’s called “onsite SEO” and typically requires the aid of a tool that crawls all over your site looking for problems that the search engine bots might encounter. At Digital Primate, we’ll put all of our available resources to work to ensure that your site ranks as high in the SERPs as possible. Local SEO differs from traditional SEO in that it’s an effort to rank a website for people in a specific region. Whereas traditional SEO usually involves ranking a site so that people all across the nation (if not all over the world) will find it when they search for a specific keyword or phrase, Local SEO is meant to reach people in carefully defined area (such as Kuala Lumpur, Selangor & Johor Bahru). For example, if you’re an electrician in Kuala Lumpur with a website, it’s not likely that you’d want your site to be visible to people in Kuantan who are searching for an electrician. You would, however, you surely want people in the Kuala Lumpur area to find your website. Keep in mind also that when people search for local businesses, some of the results appear in the Local 3-Pack. That’s a box with highlighted business listings that appear at the very top of the search results. If you’re running a business in need of Local SEO, you want to be in the Local 3-Pack. At Digital Primate, our team of Local SEO experts knows all the tricks to give your website the greatest chance of landing in the Local 3-Pack. Does SEO Really Matter In 2019? The short answer is: it depends. You can hire a cheap company, but remember the old adage: you get what you pay for. More often than not, you’ll be better off with an expensive company because you’ll get quality service and a great return on your investment. Is It Worth Paying for SEO? Yes. SEO is part of marketing. Like all other aspects of marketing, you should expect a positive ROI. That’s why you shouldn’t let the cost of hiring an expensive SEO company scare you away. Usually, an SEO company will handle the day-to-day work of maximizing the visibility of your website in the SERPs. Also, an SEO agency will recommend changes to your website that will improve its rank. The company will also monitor the site to see how well it’s ranking for search terms related to your business. Finally, the SEO firm will give you periodic reports so you can see that your investment is paying off. What Is Link-Building in SEO? One of the ways that search engines determine the authority of a site is by examining the backlinks pointing to it. Sites that have a lot of backlinks from high-authority websites are likely to rank well. Link-building is the process of getting backlinks to your website on those high-authority sites. When the Googlebot sees those links, it will pass pagerank to your site and improve its rank. Give it a minimum of six months. That’s probably not the answer you wanted, but it’s the right answer. In some cases, it can even take longer. SEO won’t give you immediate gratification. That’s why it’s a great idea to get started with it as soon as you launch your business. SEO is search engine optimization. It’s a means of maximizing your organic rank in the search results. SEM is search engine marketing. It includes SEO but also involves running paid ads that appear in search results. Can You Do SEO to Generate Leads? Yes. In fact, people do it all the time. One of the best ways to generate leads with SEO is with content marketing. Just find some keywords that people in your target market are using in search and optimize content for those keywords. When those folks find your website from the SERPs, you can capture their email with an exit-intent popup. Then, you can start marketing to them with email messages. Should I Only Do SEO for My Business? Probably not. Most businesses will likely need to use SEO to reach folks in their target market. However, they should also look at PPC, social media, email marketing, and other marketing channels as well.